I have definitely been lucky in my experiences so far during study abroad. I have had an amazing time with so many wonderful people I have met along the way. However, the greatest experience I have had thus far would be a three and a half week backpacking trip throughout Europe. I went to so many amazing places! So I’ll summarize each city here. Prague, Czech Republic: This city was so cheap, which is always nice when you’re on a college student budget. Here I explored my first castle, which was a very neat experience. The only disappointing part is that all of the artifacts they have on display are just replicas of original items. That makes it a little less cool in my opinion. This was the start to our giant trip so the group I was traveling with was a little uneasy and unsure just how to go about doing things. We quickly caught on though. 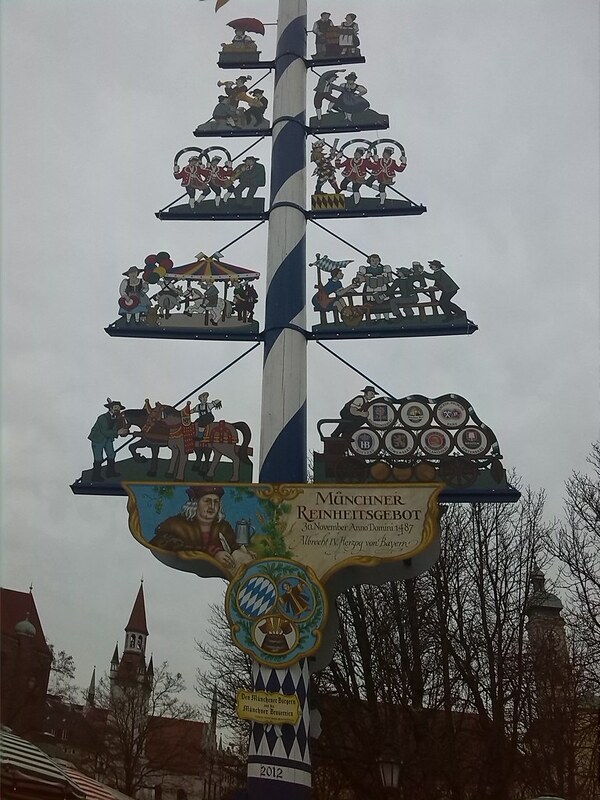 Munich, Germany: I loved Germany! We rented bikes and spent an entire day biking throughout this wonderful city. We saw where the Olympics were held, a palace and a German market, to name a few of our stops. We also spent some time relaxing in a garden. Germany was one of my favorite places. Salzburg, Austria: This city was stunning. We went up in the mountains and I was able to hike to the top and stand in both Germany and Austria at once, which was so cool. We did lots of tourist things in this city and saw lots of museums. We had beautiful weather so we spent some time by the river with the locals. Venice and Florence, Italy: Just saying the country Italy can speak for itself. Such fantastic food and wine everywhere you go! I spent a lot of time eating here. There is also a lot of culture in these cities, just waiting to be seen. 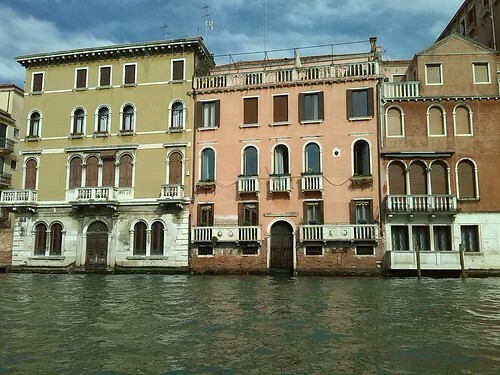 My favorite of the two was Venice. We took a gondola ride through the canals used as streets there. 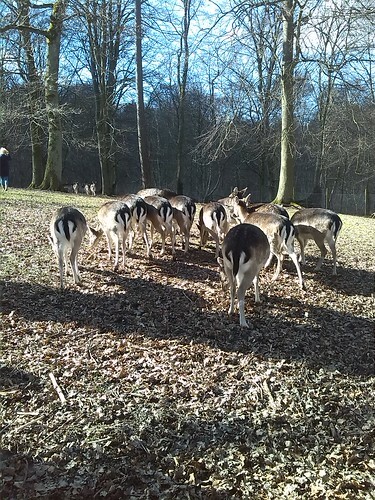 Aarhus, Denmark: This was a very special leg of my trip because I was able to visit an old friend. She came to my high school as a foreign exchange student and we were very close, but had not seen each other in four years. She welcomed me like no time had gone by and her friends showed me around. 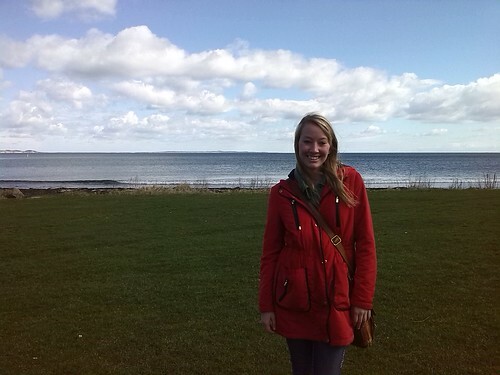 We spent a lot of time catching up and she showed me a lot of traditional Danish things. It was lovely. London, England, and Paris, France: This was the end of my trip where I was lucky enough to meet up with some of my family! We spent an entire week being “extreme tourists” through these cities. It was a blast and so good to see my loved ones that I have been missing throughout my time abroad. While I traveled before I met with my family, we learned how to not be tourists and to really travel and converse with the locals. It was an interesting experience going back to tourism with my family and it made me really appreciate traveling. 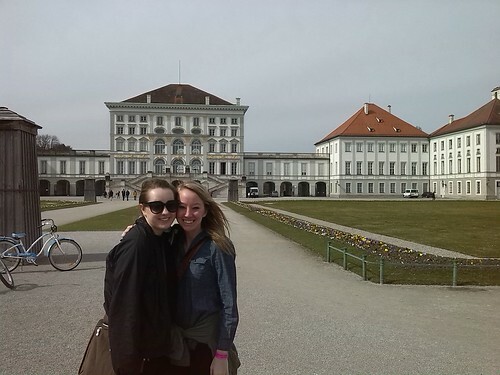 My friend (who also goes to Mizzou) and I outside of the palace in Munich, Germany. 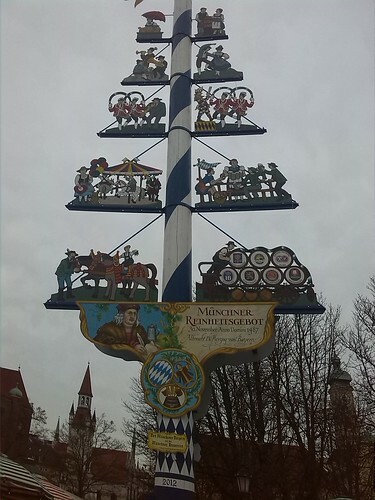 A sign in the German market that we stopped at. The markets have all sorts of food that you can buy and there is also a beer garden. 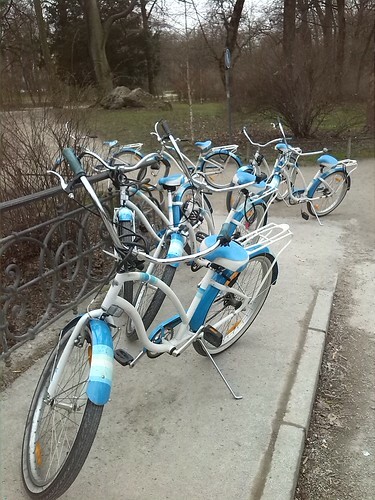 My friends and I rented bikes to travel through Munich. Most people in this city travel by bike. 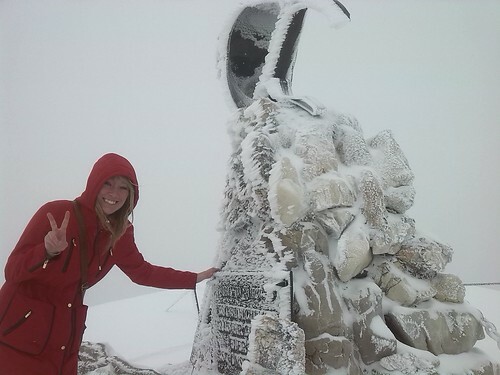 Me standing in two countries at once at the top of a mountain in Austria! I was standing in Austria and Germany. This was at a food market in Austria. My friends and I tried to find a market in each city we went to. 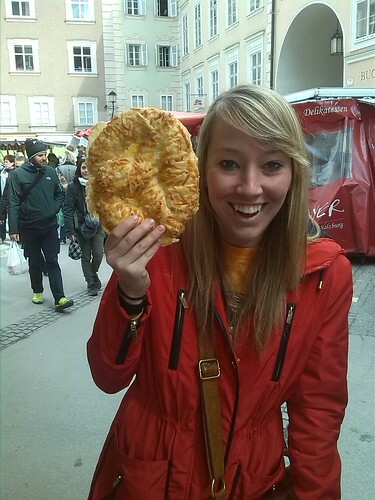 You can find great foods like this pizza pretzel that is the size of my head. 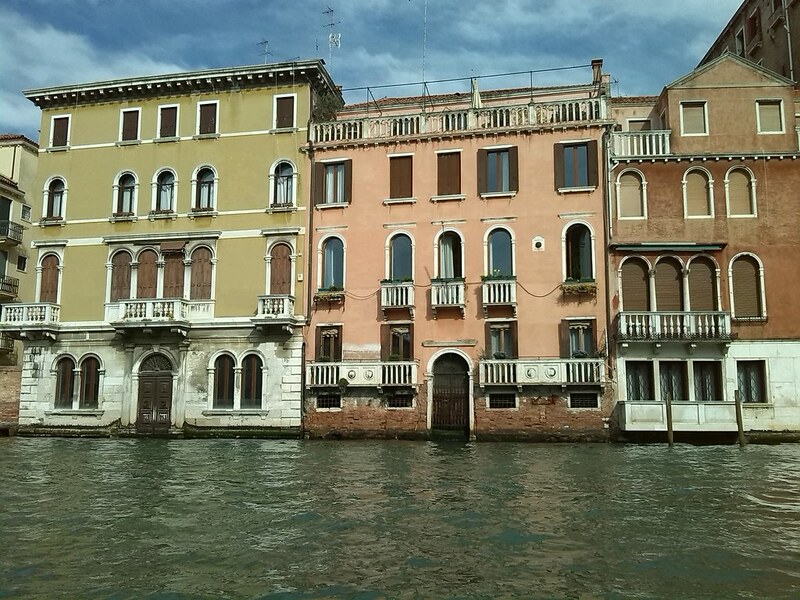 This photo was taken on a gondola ride through Venice. The water was not very clean, but the sights were beautiful! My favorite picture taken on my trip through Europe. 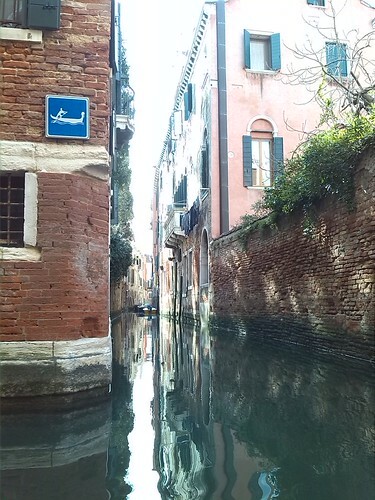 This captures just how beautiful Venice was. I cannot wait to go back again someday. 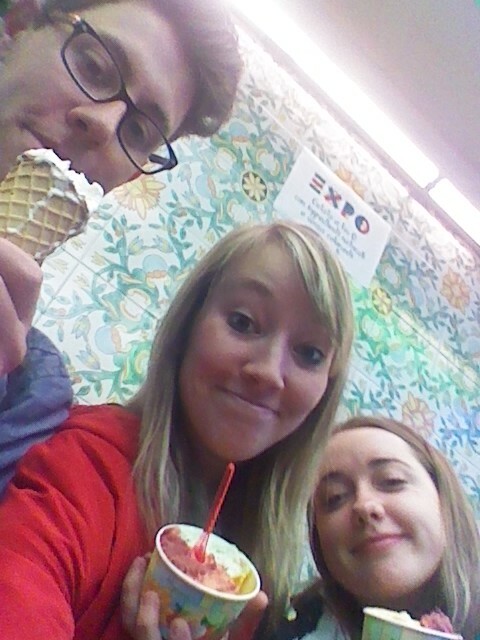 When in Italy, you must get gelato. It was absolutely delicious! My friend in Denmark took me to the pier and ocean for an afternoon. It was a wonderful sight. In Denmark they also have areas where deer can live in a protected environment. This seemed odd to me because I am used to them being over-populated in Missouri. 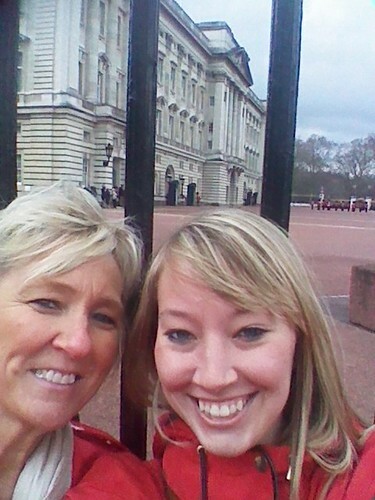 The best way to end an amazing trip is traveling with your mom! We are at the changing of the guards in London. It was a wonderful time.